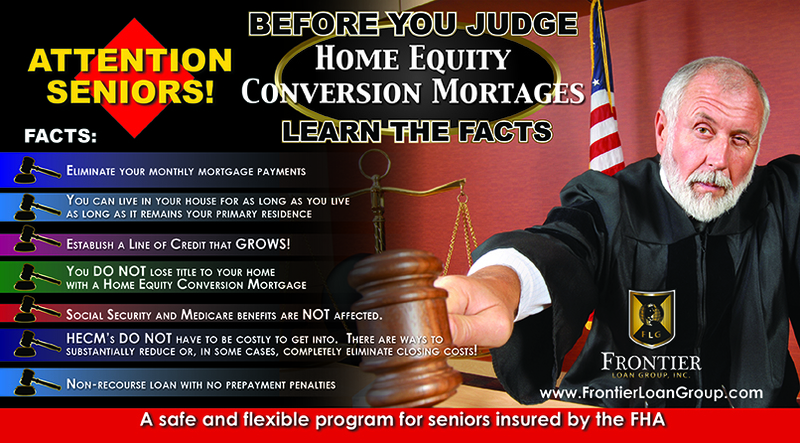 Before You Judge Home Equity Conversion Mortgages “HECM” (aka Reverse mortgages) Learn the Facts! I was his son. There is an implied fiduciary duty with the fact he was my father. As his son, I would not advise him to do anything that I thought would hurt him in any way. I was a beneficiary to his estate. I was one of the beneficiaries to his estate so recommending a reverse mortgage could affect the value of his estate. I assist people in California with reverse mortgages. I told him that I work with seniors like him all of the time and that my suggestion to obtain a reverse mortgage was based upon my knowledge and understanding of the product. I am a licensed attorney (I am licensed in 3 states). I told my father that I have thoroughly reviewed the program and did not find anything that he should be wary of. I did tell him that he needed to thoroughly familiarize himself with the product and that I would be glad to teach him all about the program. I cannot help him get a reverse mortgage in Florida as I was not licensed there. Therefore I had no financial benefit from him getting a reverse mortgage. After a lengthy discussion I discovered the basis of his apprehension were statements made by 2 of his acquaintances and an online article that he read. I demanded to see this article. My father was unable to remember where he saw the article. In other words, my father’s beliefs about the HECM program were based on hearsay and an unsourced article. I told my father that he was too intelligent to establish an opinion without educating himself first. I told him he should be ashamed of himself. I then spent the next 45 minutes providing him with a thorough understanding of how the HECM product works. The moral of this story is to not rush to judgment. This entry was posted in Blog and tagged california reverse mortgage, HECM, HECM guidelines, HECM information, HECM myths and misconceptions, home equity converison, Home Equity Conversion Mortgage, mortgage, myths and misconceptions reverse mortgage, reverse, reverse mortgage guidelines, reverse mortgage info, reverse mortgage myths and misconceptions, reverse mortgage qualification, reverse mortgages. Bookmark the permalink.